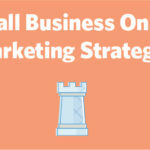 ﻿ Small Business Online Marketing Strategies » Red Mango Marketing! The internet has changed the way we do business. Today, small businesses have the opportunity to make it big with the help of the right marketing tools and strategies. If you’re a small business that’s just getting started or one that considers online marketing a huge expense or a technical complication, I’m going to break it down for you to show that it can be easy, and explain how you can make more money with it. An effective online marketing strategy is not a “bonus” for a successful business, but a need for every business that wants to thrive and succeed in today’s times. Why go online? Yes, there are some businesses still questioning that. The fact is, you can choose to stay away from the world online, but that only means a limited reach and even more limited potential for the growth of your business. Your customers almost instinctively expect you to be online, and the best part is, you can fulfill your customers’ expectations with an online marketing strategy. From there, the right online marketing strategies for small business helps you serve your existing customers, get new ones, and continually keep growing. What strategies will help me achieve these goals? What marketing tactics and campaigns will help me achieve these strategies? A goal is set, strategies can be changed along the way, and tactics are what you use to make these changes. What marketing channels am I going to use? How will I use these channels? How will I make money from my online marketing strategy? Once you set your goal, the marketing plan to achieve it, and have built an online presence, it’s time to start executing online marketing strategies for small businesses. Don’t just make your presence felt, make your brand unforgettable. Content marketing is content with a purpose. Depending on the goal you set for your online marketing strategy, you can tweak your content marketing initiatives to drive more sales, increase brand awareness, get more sign-ups, increase downloads, boost conversions, or attract more traffic to your website. You can use different mediums of content to get the results you’re aiming for, such as a blog, video, or helpful guides. It’s a versatile online marketing strategy that can be used in different ways, with the right content for your existing and potential customers. Search engine optimization (SEO) enhances the visibility of your small business on search engines. How well your website ranks is a combination of the technical structure of your website and the content that you use on it. You get a lot of traffic to your website and you rank high on search engines, but the ultimate goal is conversions, right? With an online marketing strategy aimed at optimizing your conversion rate, you can add more opportunities for conversions, or hone on the ones that already exist. Social media marketing holds immense potential, for those who build an online marketing strategy and align their social media initiatives to it. Building an audience of prospective customers on social media requires patience and great content. Email marketing brings amazing results for a small business. You can increase traffic to your website, boost sales, and drive continuous communication between your business and your customers through emails and marketing automation. We have built an online presence, we know how to get started, and the points to consider. Now it’s time to take a fine-tooth comb and get to the root of it all. Remember, we are still in the strategizing phase. When we make an online marketing plan, we work our way down the line from goal to the foundation. When we get to the execution part, it works its way upwards – from the smaller and finer details, leading up to the top, the ultimate goal. Okay, so we have the broader aspects of our online marketing strategy in place. It’s time now to further explore the marketing tools that contribute to the success of our plans. Optimizing your small business with local listings gets you great traction online. Local search marketing puts you on the map and allows people around you to find your business when they search for relevant products or services. Working with other local businesses, bloggers, or influencers to link to your website informs search engines that your website is relevant and popular. Work with local news sites and other websites to help you enhance your link building initiative. Using the right keywords boosts your online marketing strategy and helps you beat online competitors in search engine results pages. With proper keyword research, you know the exact words and phrases that people use to find services and products relevant to your small business. Use these keywords on your website pages and all other content that you create to reach out to people. Buying an email list is completely off the table. Email marketing only works when people willingly share their email addresses and say yes to receiving emails from your business. A website pop-up, social media ads, lead generation ads, and physical lists at stores or events can build your email list organically. Keeping track of the online reputation of your business is a must to know what people are saying about you so you can respond properly. Setting up alerts for your business online can instantly find the people talking about you. It’s also a wonderful way to get first-hand feedback from customers and strengthen your online marketing strategies. Setting up events, offline and online, gets more leads and allows you to interact with both your existing and potential customers. You can create a Facebook event page to let people around you know about it and get more attendees. Here’s a 5-point checklist to help you achieve online marketing success. We have talked about how an online marketing strategy consists of a goal, strategies to reach it, and tactics that facilitate your strategies. The most important thing here is to ensure that’s it all aligned and works in sync with one another. As a small business owner, you may want to do everything on your own, without thinking ahead. While that may result in some initial success, without focused steps and a plan, it usually creates a mess in the end. Always start by creating a plan, a roadmap that has pit-stops, and enough time for you to travel all the way up to your goal. Sometimes you may need to change the route and sometimes you may hit a dead end. That’s okay. It’s okay to lose your way once in a while, just as long as you are ready to start all over. Just like every small business is unique, so should be your online marketing strategy. Tailoring your online marketing efforts to focus on the unique elements of your business is what brings in the results you aim for. Every plan you make, every strategy you devise, every time you start something new, always keep the needs and interests of your customers as your priority and you’re sure to hit the bullseye. This entry was posted on Friday, March 29th, 2019 at 3:52 pm	and is filed under News & Updates, Online Marketing. You can follow any responses to this entry through the RSS 2.0 feed. Both comments and pings are currently closed.